Save money this summer by focusing on energy efficiency for your home. No one wants to lose money, especially during the summer months when your extra cash could go to a fun vacation instead. Energy waste leads to increased energy costs and is bad for our environment. The typical home wastes 30% more energy than a home focused on energy efficiency. Don’t have a typical home, check out of our energy saving ideas from better ventilation to HVAC maintenance for your Jacksonville, Florida home. In fact, these ideas are solid regardless of where you live. A smart thermostat allows you to program your thermostat to regulate the temperature in your home based on your family’s schedule. With most smart thermostats, you can even control your home’s temperature from your smartphone. Investing in a smart thermostat can save you up to 15% on energy costs. The energy savings are tied to how you manage your temperature settings. For example, when you’re away from your home, set the temperature so that your system isn’t running unnecessarily. Then, schedule your system to turn on before you arrive so that the temperature in your home is where you want it when you’re present. Overall, a smart thermostat gives you more control, uses less energy and saves you money. In fact, a smart thermostat can pay for itself in less than two years. According to the U.S. Department of Energy, not maintaining your HVAC unit can lead to a decline in performance and an increase in energy usage. To save money on energy costs this summer, schedule HVAC maintenance with Jacksonville, Florida’s heating and air experts at J&W Heating and Air. HVAC maintenance includes inspection and cleaning of your HVAC system to identify any needed repairs before your system breaks down. One important key in HVAC efficiency is replacing the air filter at least every three months. Regularly scheduled HVAC maintenance can extend the life of your AC unit, save money on energy costs and avoid costly emergency repairs. Ensure proper airflow in your home to lower energy costs and improve indoor air quality. Ventilation is key to your home’s air flow, and you can improve ventilation with air duct cleaning. The average six-room home accumulates around 40 pounds of dust, dirt and allergens each year. By cleaning your air ducts, you manage this problem while helping your HVAC system to work better. Clean air ducts can lead to energy savings because your HVAC system works more efficiently. Also, you may experience health cost savings from improved air quality. Schedule air duct cleaning today to help your family breathe easier. Lower your energy usage this summer by reducing the amount of heat produced in your home. When your home has less heat production, your air conditioner can run less frequently leading to lower energy costs. Take an audit of your home to determine which areas produce heat, then implement strategies to reduce heat production. Create less heat by keeping the stove off in your home. Instead, cook outside on the grill or prepare meals that don’t require the oven. Also, do laundry and run the dishwasher at cooler times of the day like evening or early morning. Summer is a great time to air dry your clothes saving energy costs from the dryer and keeping your home cooler. Another heat reducing and energy saving tip is to switch to LED light bulbs. Incandescent bulbs produce more heat and use more energy than LED bulbs. With a few simple strategies, you can save on energy expenses this summer by producing less heat from the start. Air leakage increases energy costs because your air conditioning unit must work harder to maintain the temperature in your home. Repairing air leakage is a quick, affordable and easy way to lower energy costs. Two ways to fix air leaks are weatherstripping and caulking. Check for air leaks around your windows simply by holding up a lightweight piece of paper next to the window. If air moves the paper, you know you have a leak. 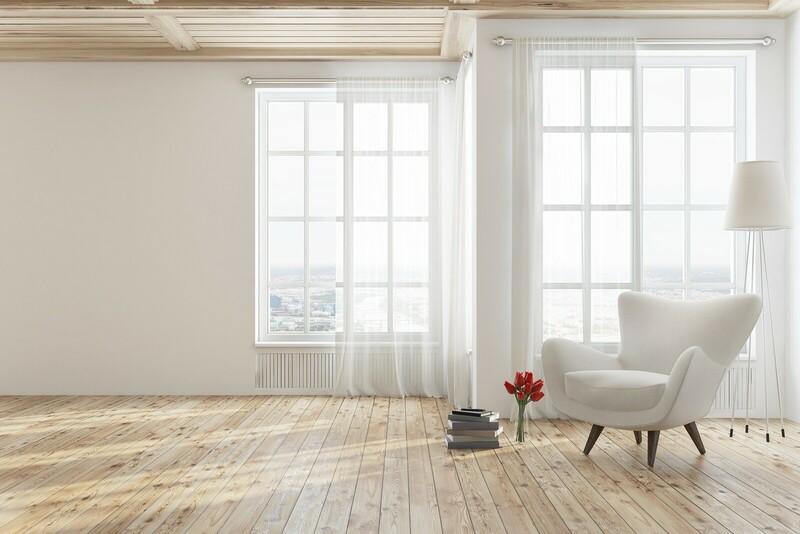 Reduce energy costs and keep your home more comfortable by taking care of air leaks. This will also help keep your home warmer in the winter. Another easy way to lower energy costs this summer is by using fans. Fans are designed to move air in your home. When used correctly, they can greatly reduce heat buildup. When you cook or take a shower, turn on the fan in the bathroom or kitchen to help the heat escape. Also, use ceiling fans to circulate the air from your AC unit. Energy Star ceiling fans are available to maximize your energy savings. Stay on top of home savings by implementing our energy saving strategies. Not only will these strategies create energy efficiency in your home, many also offer additional savings. For example, HVAC maintenance saves you money over time by extending the life of your unit. Be smart with energy savings. Contact the experts at J&W Heating and Air to schedule duct cleaning or HVAC maintenance in Jacksonville, Florida and surrounding areas. We want to help make your home more energy efficient this summer.